How to beat your opponent in 20 moves or less. In the previous articles we discussed typical tactical patterns, good traps and bad traps, pawn promotions and Queen sacrifices. It is time to use this knowledge! Let's try to beat our next opponent in 20 moves or less! Of course we won't be able to achieve this goal unless our opponent helps us a little by committing one of the cardinal sins of chess openings (by forgetting about his development, 'pawngrabbing', refusing to castle, etc). Therefore, it is our duty to give him an opportunity to go wrong. What I mean is if you play a quiet opening variation (say the Queen's gambit), then even if your opponent makes a mistake the consequences are not going to be as deadly as if he commits a mistake in a sharp opening (like the Dragon Variation for example). So, wouldn't it be wonderful if we carefully prepared an opening mine field for our opponent where one single mistake can be fatal? Today's article is the first part of our journey where we will explore different openings and see where we can catch our opponent off guard. Let's start with one of the oldest and sharpest openings known: the King's Gambit. We will analyze the most remarkable games played in this opening where one of the opponents didn't survive the opening. The games will be given as a Quiz. I strongly recommend you to click "Solution" and then "Move List" after you're done with the puzzle. This way you will be able to see annotations for the game you just analysed. In many cases the annotations will answer your questions. Of course we should start with one of the most famous games in chess, called "The Immortal Game" for its beauty. The game was extensively analyzed and it was proven that White's sacrifices weren't sound. Besides, the game was more than 20 moves. 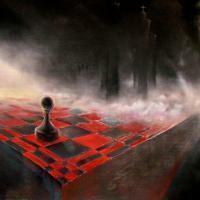 Yet, to me it is inconceivable to talk about the King's Gambit and omit this game! In the next little-known game, one of the best attacking players and King's Gambit aficionado Rudolf Spielmann was on the receiving end of a miniature. This is one of the first examples where Black shows that the best strategy in the King's Gambit is not to go after material but finish his development as quickly as possible and go for a counterattack. It is games like these that helped me to notice that usually if a game becomes slow, almost boring in the King's Gambit, it is Black who wins. And most of the times all the excitement plays in White's favor! In the next game White started a swift and unexpected attack. Even Grandmaster Schlechter, who was known as the best defender of his time, was helpless against it! In the following game White has sacrificed two minor pieces by move 7! As a result the position became very wild. Guess who benefited from the chaos on the board? In the last game we will analyze today White sacrificed all his Kingside pawns in order to finish his development quickly and open files against Black's King.